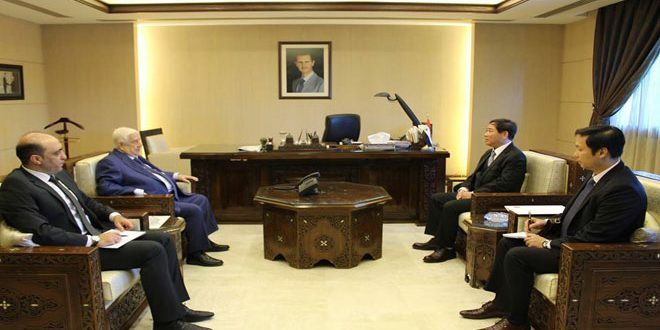 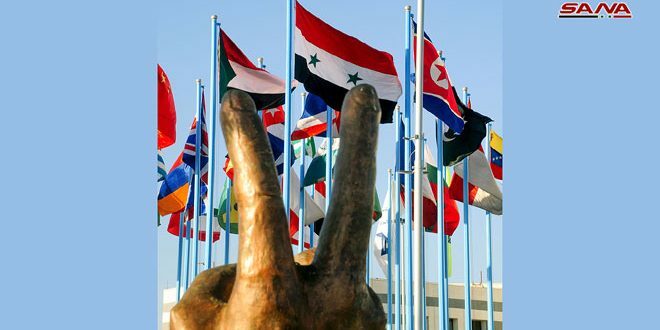 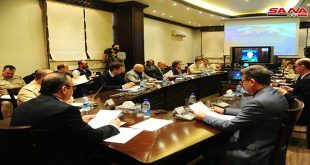 Damascus, SANA-Czech Deputy Minister of Foreign Affairs Martin Tlapa affirmed on Wednesday that the Czech Republic seeks to contribute to finding a quick solution for the crisis in Syria and helping in restoring security and stability. 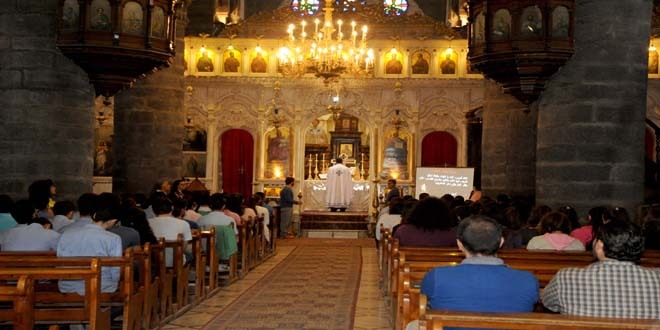 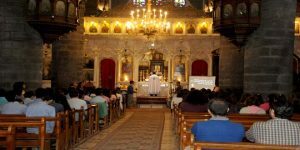 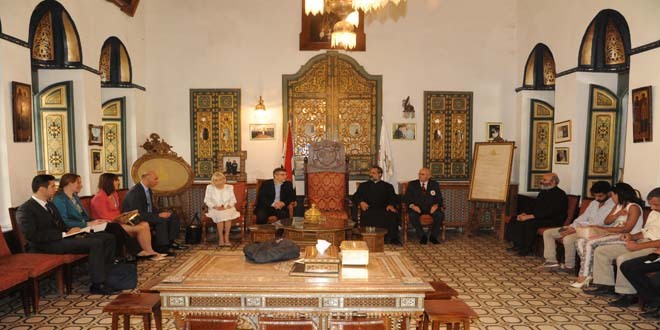 During a visit with his accompanying delegation to the Melkite Greek Catholic Patriarchate of Antioch and all the East Orthodox Church of Dormition (Saydet El Niyah Church) in al-Zaitoun quarter in Damascus, Tlapa affirmed that Syria is like the Phoenix which will rise from the ashes again and will, as always, contribute to the human civilization. 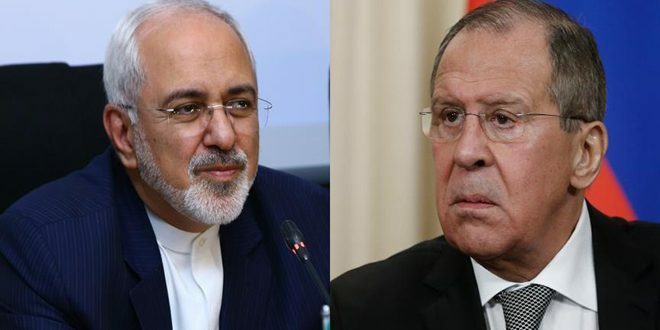 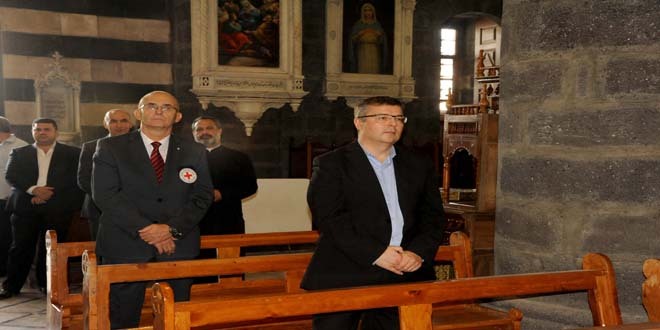 For his part, Father Maher Mansour stressed on the importance of enhancing relations that binding the peoples and governments of Czech and Syria, hailing the stance of Czech Republic in supporting Syria and the aid provided by it to Syrians.